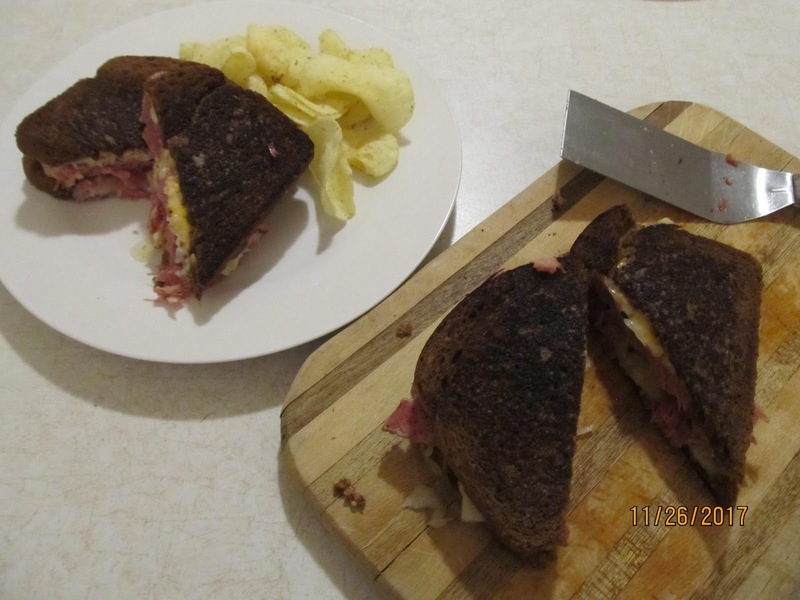 This Sandwich was so easy and fun to make, After letting the corned beef slow cook all day, I did some research on Sauerkraut and the health benefits. If I would have known there were so many, I would have been eating this a long time ago. In my next blog I will be sharing those benefits with you. 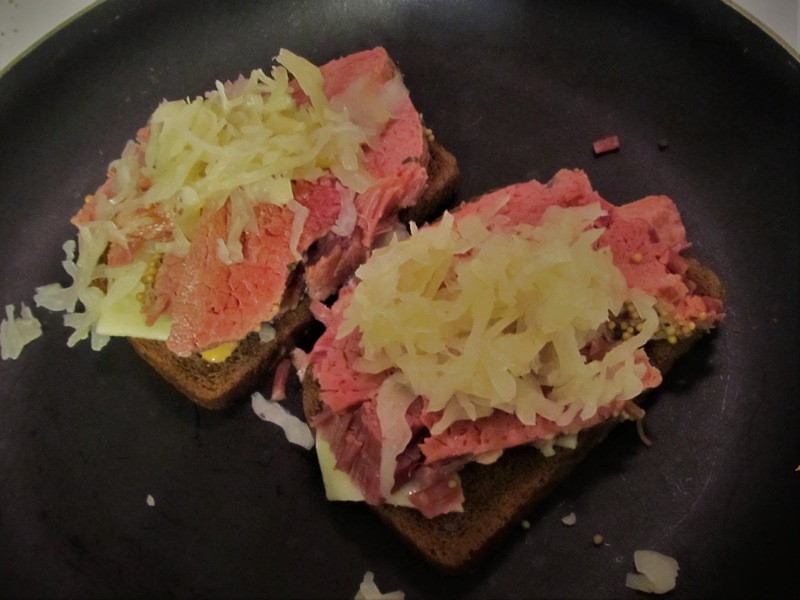 For now this is one of our recipe’s using Sauerkraut and corned beef. 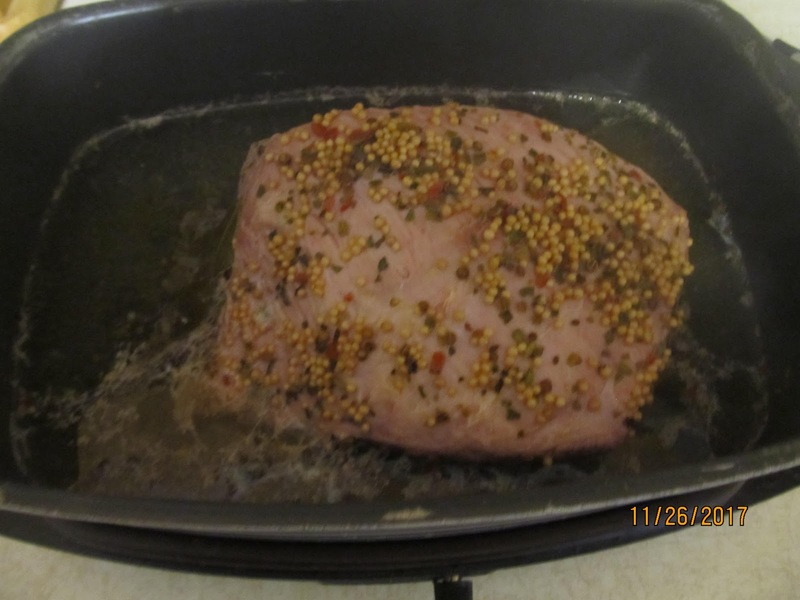 – Remove beef from slow cooker. 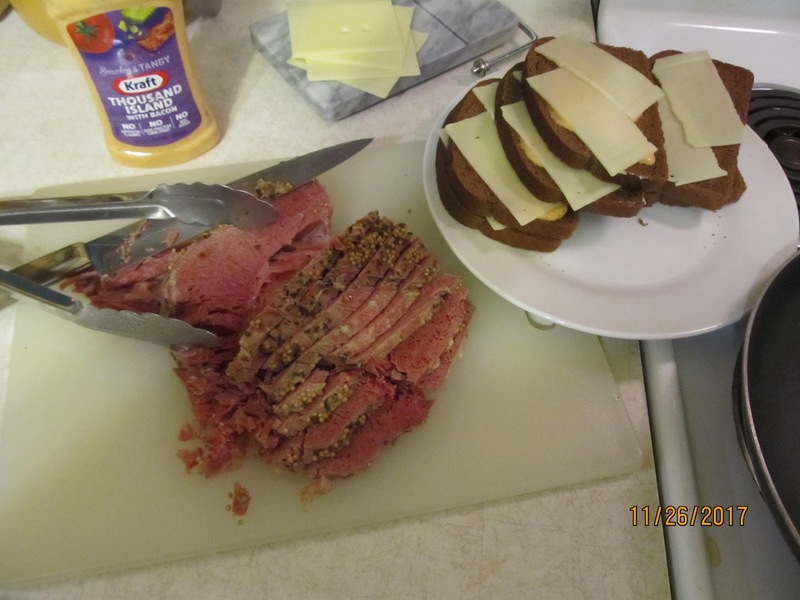 – Butter one side of the bread, spread 2 tsp of Thousand Island dressing on other side of the bread. – Place cheese on top of the dressing, warm up the Sauerkraut. – Add 2 Tbsp of Sauerkraut on top of the cheese, then place meat on Sauerkraut. – Add remaining of Sauerkraut on top of the beef. – Add other side of the bread. Sour cream and chive or Jalapeno chips go well with this sandwich. 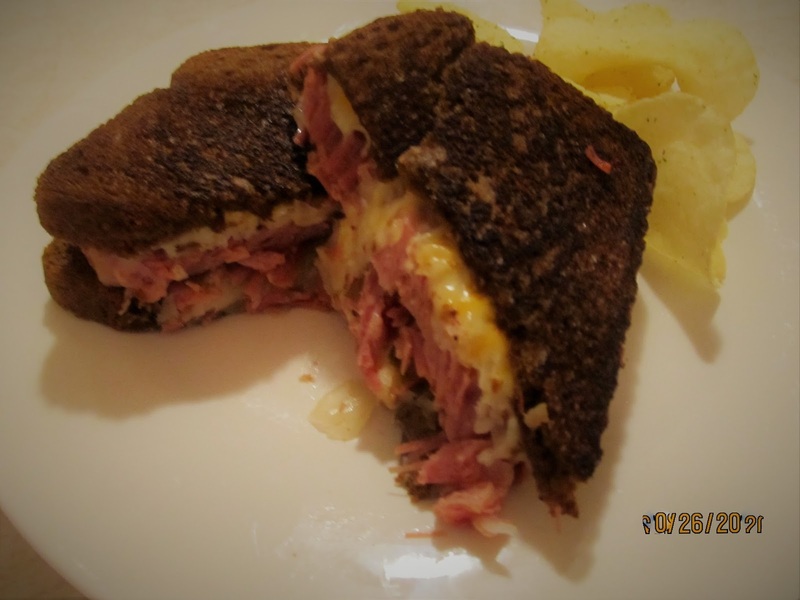 I order Reuben sandwiches all the time when I eat out! This looks perfect!